Product Detail Summary: This small set includes the Orc Warrior, Ragerock, as well as a weapon and buildable accessories! The Ogrimmar City-inspired terrain build with special parts and tilable plate features a buildable Orc Warrior micro action figure with collectable chest plate, shoulder pads and two-handed sword! 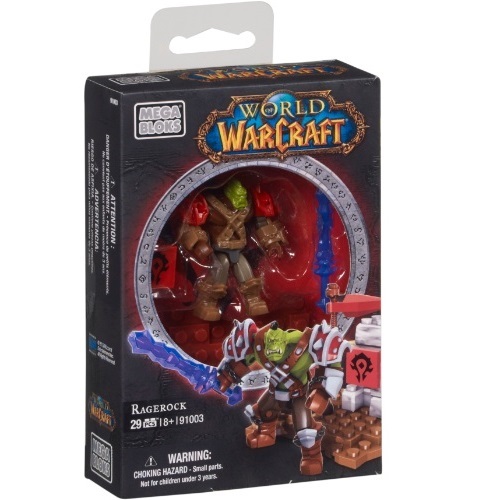 Buildable Orc Warrior micro action figure with customizable armor. Collectable chest plate, shoulder pads and two-handed sword to mix and match. Ogrimmar City-inspired terrain build with special parts and tilable plate.